Tammy Abraham denied managerless West Brom a first Premier League win since January as Swansea battled to a 1-1 draw at the Hawthorns on Saturday. Jay Rodriguez broke the deadlock in the 54th minute for bottom club West Brom, who were playing under caretaker manager Darren Moore after Alan Pardew left by mutual consent on Monday. However, the Baggies' winless run was extended to 10 league games when Abraham met Sam Clucas' corner (75), in what was the forward's first league goal since October. A first point in nine games leaves West Brom 10 points from safety, while Swansea remain in 15th, four points above 18th-placed Southampton, who are in action at Arsenal on Sunday - live on Sky Sports Premier League. West Brom controlled play in the first half, but their familiar struggles in the final third continued - a Chris Brunt attempt from distance was the closest either side came in the opening 30 minutes. Andre Ayew should have broken the deadlock for Swansea, but the striker could only stab an attempt wide after latching onto Clucas' through ball. Moments before the half-time whistle, Craig Dawson's cushioned header found Rodriguez, and it took a fine flying save from Lukasz Fabianski to deny the West Brom forward. Both sides made two changes. Matt Phillips and James McClean replaced Jonny Evans and Claudio Yacob for West Brom. 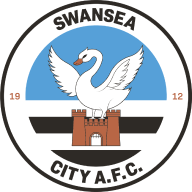 Tom Carroll and Tammy Abraham started for Swansea – Ki Sung-Yeung and Nathan Dyer dropped to the bench. 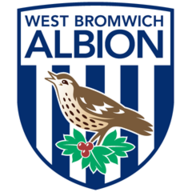 West Brom remained on the front foot in the second half, and they took the lead when Rodriguez tapped in after Salomon Rondon flicked on Matt Phillips' cross. The hosts pushed for a second, but Swansea captain Federico Fernandez was on hand to block James McClean's strike from inside the box. West Brom then gave away a needless corner, and duly paid for it, with Abraham meeting Clucas' cross - seemingly with his shoulder - to earn a point for the Swans. West Bromwich Albion have lost 26 points from winning positions in the Premier League this season, the most by a club in a single campaign since the 2012-13 season (Southampton 29 and Aston Villa 28). Swansea scored with their only shot on target in this match. They've had just 75 shots on target in the Premier League this season, fewer than any other side. Tammy Abraham's goal was his first in the Premier League since October, ending a run of 17 games without scoring in the competition. Jay Rodriguez has scored six Premier League goals this season - only in 2013-14 (15) has he scored in a single campaign in the competition. In an encounter largely played in the middle third, Jake Livermore enjoyed a busy afternoon for West Brom. The midfielder recorded a team-high passing accuracy of 92.5%. Meanwhile, Tammy Abraham will be delighted to have ended his long wait for a goal. The striker must push on in the final six games, however, if he wants to convince Gareth Southgate to take a fourth forward to Russia. West Brom's captain for the day in Jonny Evans' absence was central to all of their play going forward. Brunt had 25 more touches (104) than any other player on the pitch, gaining possession a match-high 10 times as well as putting in a number of dangerous crosses for the hosts. West Brom caretaker manager Darren Moore: "It's a proud moment. Everybody knows my connection here at the football club. To step out there it was a proud moment and really good to lead the team. I thank everybody out there today. "It was a together spirit from everybody at the club and together we got that valuable point. It stops the rot and it sends everybody away with a point. It's not another loss. "I'm always one for if you don't win the game, then don't lose it. The boys did that really. In recent weeks maybe if we'd have gone level, with that amount of time we might have lost the game." Swansea boss Carlos Carvalhal: "I am [pleased with a point]. We expected a difficult game with a change of manager," Carvalhal told Sky Sports. "The [West Brom] players are in a difficult position, and they made things difficult. We felt this during the game, they put some problems to us even though we controlled with our defensive organisation. "We must do better when we're on the ball, in the first half we knew that. In the second half, it was still the same, but after the goal, we reacted - we have a lot of strength in our head. "The team's reaction was fantastic. We were nearer to the opponent's goal and did not gift too many opportunities to them. West Brom head to Old Trafford next weekend to face Manchester United on Nissan Super Sunday, live on Sky Sports Premier League. Meanwhile, Swansea are at home to Everton next Saturday in a 3pm kick-off.